Alan Sable’s tenure denial prompted demonstrations from students against administrative homphobia. Photo courtesy of UCSC Special Collections. It was the first time they could be themselves. Over 120 people from around the Bay Area arrived at Cowell College on Dec. 4, 1971 for the first ever homosexuality conference hosted by UC Santa Cruz. The conference, “Homosexuality: Exploring an Alternative in Sexual Expression,” included speakers from the San Francisco Gay Liberation Front who delivered talks on student activism. From 9 a.m. to 5 p.m., gay and lesbian students filled the Cowell Dining Hall and the Stevenson Jolly Room, now the Stevenson Coffee House. Those outside the conference gossiped, their suspicions about other students’ sexuality confirmed. Those inside were unconcerned with what others thought because they were among those who shared their sexual identity. Though Santa Cruz is among LGBTQ+ friendly regions of the U.S., homosexuality wasn’t accepted in mainstream society 40 years ago. Until 1973, homosexuality was considered a mental illness. On June 24, 1973, 32 people died when an arsonist set fire to the Upstairs Lounge, a popular gay bar in New Orleans. Openly gay San Francisco Supervisor Harvey Milk was assassinated by former Supervisor Dan White on Nov. 27, 1978. In the wake of open hostility toward homosexuals, many LGBTQ+ individuals remained in the closet for their safety. The silence created made UCSC faculty members feel cut off from the community. Though the LGBTQ+ community was less visible in the ’70s and it was difficult to organize a movement, students still tried. They submitted ads to City on a Hill Press (CHP) calling for open discussions between gay and straight people to show that they weren’t all that different. 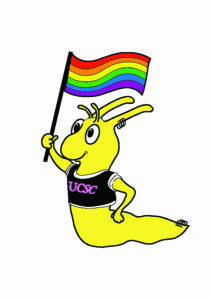 In 1975, Santa Cruz held its first Gay Pride week and the Gay and Lesbian Alliance (GALA) formed, creating another safe space for gay UCSC students, along with the Gay Students Union (GSU). 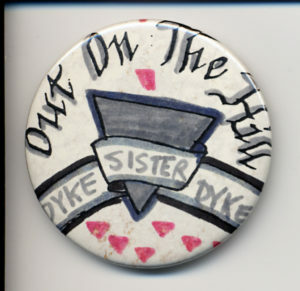 Students’ willingness to reveal their sexuality impressed faculty, who were forced to hide their orientation for fear of being fired, despite Santa Cruz County passing anti-discrimination laws for sexual orientation that year. Sable was fired in June 1977, six years after he came out to his class, making him one of the first openly gay professors in the U.S. No reasons were given about why Sable was denied tenure, but many assumed sexuality was a factor. When Sable’s tenure denial was publicized in the fall, students organized demonstrations and sit-ins at the chancellor’s office and home to support Sable and call attention to the administration’s homophobia. Later, in 1982, professor Nancy Shaw-Stoller was also denied tenure and many believed her sexuality also influenced the university’s decision. Like Sable, students rallied to support her. But unlike Sable, Shaw-Stoller spent five years campaigning to get her job back before finally receiving tenure in 1987. UCSC Cantú Queer Center. Photo by Ali Enright. 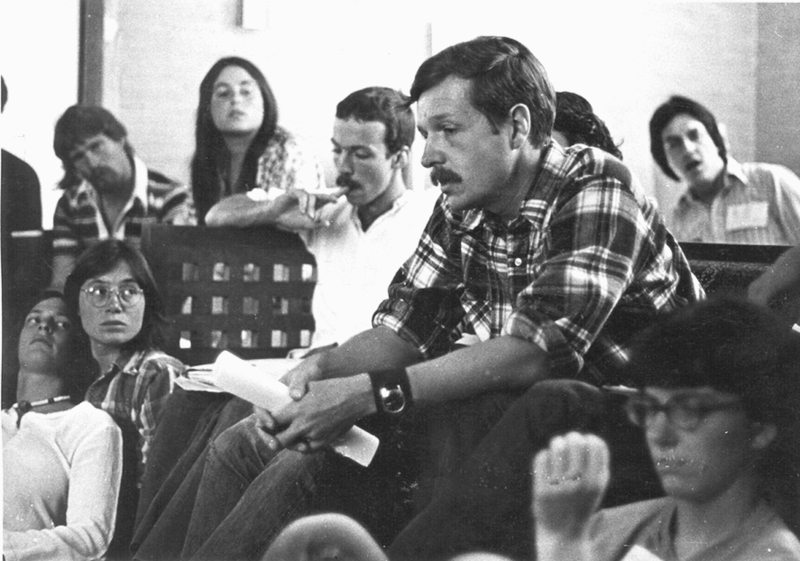 Throughout the ’70s, UCSC students were the main organizers around LGBTQ+ and other social issues. 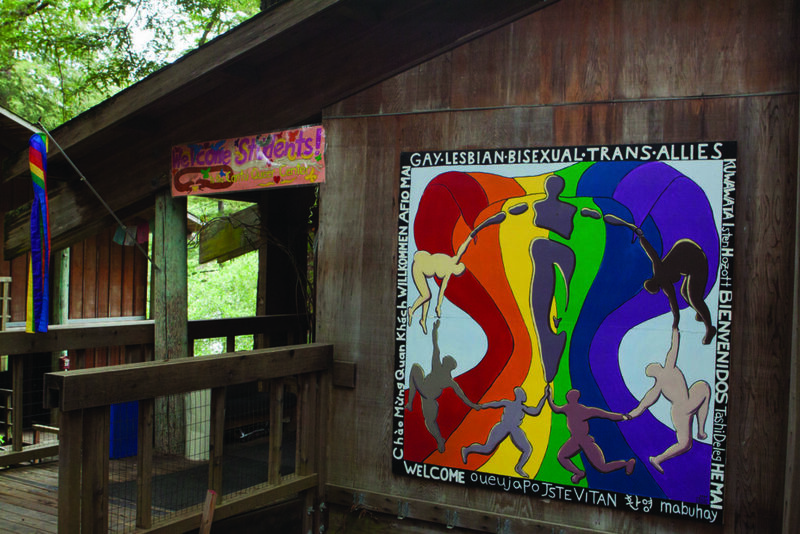 Today, the Cantú Queer Center, transgender-inclusive bathrooms and annual events like Drag Ball, Glitter Ball and Queer Fashion Show demonstrate how far the UCSC campus has come. Yet hate crimes against LGBTQ+ students occurred a little as one year ago at UCSC and demonstrate ongoing prejudice. The LGBTQ+ students of the ’70s set a prime example of how student activism brings light to issues affecting underrepresented communities.